Three individual stamps, each featuring a different word or phrase. They can be stacked together in any sequence making it extremely versatile and easy to use. An ideal way to carry three different stamps in a bag or storing them on a desk with no mess and keeping them together. The stamps are pre-inked, so there is no need for a separate ink pad. 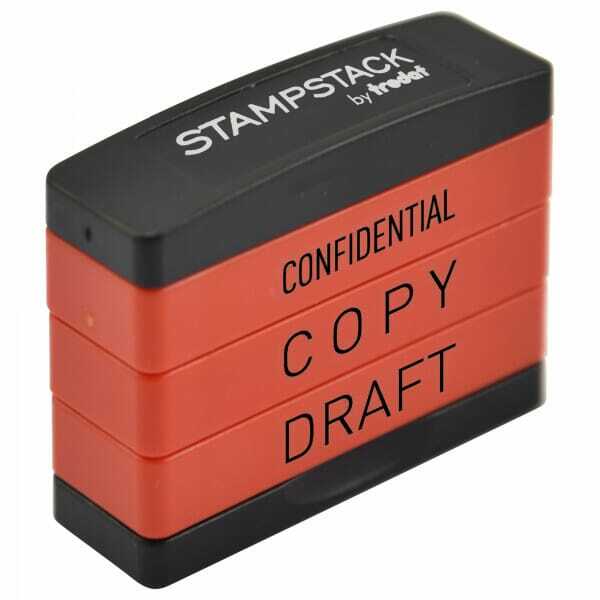 Customer evaluation for "Trodat STAMPSTACK - Paperwork"